On August 21, 1911, Leonardo da Vinci’s famous painting Mona Lisa was stolen from the Louvre in Paris. 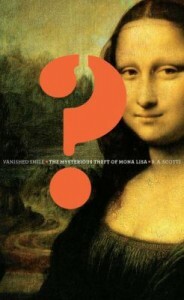 R. A. Scotti’s Vanished Smile is a fascinating book about the investigation, leads, and suspects. Pablo Picasso’s apartment was even searched. The history of the Mona Lisa from when Leonardo painted it to when it arrived at the Louvre is intriguing. The painting was finally recovered in 1913. Did the thief act alone or was there a conspiracy? In December 1962, through the efforts of Jacqueline Kennedy, the Mona Lisa left the Louvre for the second time and was exhibited at the National Gallery in Washington, D.C. Now France has a law forbidding her from leaving the country. If you are interested in reading similar books, see True Crime: Lost and Stolen Art. A work of fiction, B.A. Shapiro’s The Art Forger, actually enticed me to read Master Thieves, a nonfiction account of the Gardener Museum’s unsolved 1990 art heist. 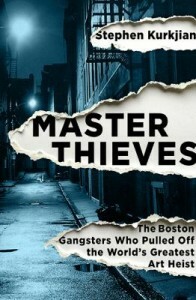 Stephen Kurkjian‘s primary sources and journalist’s style leads readers on a journey through the underworld of Boston to uncover possibilities to solve this twenty-five-year-old crime. His personal involvement in the story and contacts in the FBI and the mob make each scenario credible. Art historian, true crime aficionado, and mystery lover alike will be captivated to learn more about the clues and the suspects. Some may even want to get involved. After all, there is a $5,000,000 reward for information leading to the recovery of the thirteen stolen art pieces. This true life adventure is almost too over the top to be believed. The movie starring Leonardo DiCaprio pales in comparison to the book. At a very young age, Frank Abagnale set out on a life of crime that took him all over the world as he impersonated a Pan Am pilot, masqueraded as a supervising resident of a hospital, and practiced law without a license. He cashed over $2.5 million in forged checks and was known by the police of 26 foreign countries and all fifty states as “The Skywayman.” His descriptions of narrowly escaping capture will make your jaw drop. When he is ultimately captured, he pays a heavy price. 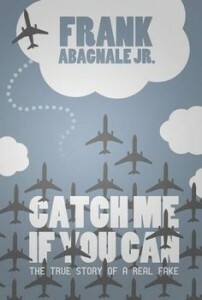 Catch Me If You Can is an exciting real story which will keep you on the edge of your seat. 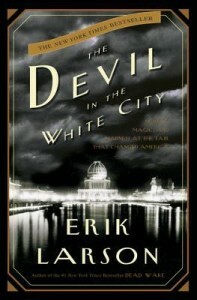 Yes, this book is by the same author as the “Big Read” book, The Devil In the White City – the story of the Chicago’s World’s Fair of 1893, chief architect Robert Burnham, and infamous murderer H.H. Holmes. In Thunderstruck, Larson takes us to Edwardian England and intertwines the stories of William Marconi and his invention and development of the radio, and Hawley Crippen, an accused notorious murderer. For most of us, Marconi was merely the answer to a question in history class. Yet this was a real man and his story is an exciting as he must struggle with his invention, competitors, family and himself. Larson shows us what a dramatic change the radio made to peoples’ lives. And what of the connection between Marconi and Crippen? Hawley Crippen was no H.H. Holmes in that he was only accused of a single murder, but his story was sensationalized by the press of the 1900s. The story of the murder, the policeman who “solved it,” Crippen’s flight on the high seas, how the radio was used in his subsequent capture and arrest, his trial and the aftermath make this a great read. Listen to the author read an excerpt and read the New York Times review. An excellent companion to Larson’s Devil in the White City, this book tells the almost unbelievable life story of 19th century serial killer and kidnapper Herman Mudgett, a.k.a. H.H. Holmes. He actually confessed to 27 murders, but some of the victims turned out to still be alive later. Others have placed the number at 200 plus. This book is a fast read, mainly because you won’t be able to put it down. H.H. Holmes America’s First Serial Killer, a documentary film by John Borowski, is based on this book. Get them both. Learn more about the author and his books at Simon & Schuster.com and read reviews of Depraved at Amazon.com. The unsolved poisoning of Charles Bravo, a member of the English Victorian upper class, has remained one of England’s most notorious crimes. Was it Bravo’s wealthy wife Florence, the servant Jane, or the renowned physician James Gully who committed the murder? Death at the Priory not only entertains as a mystery, it offers a glimpse of the social constraints even wealthy women endured in Victorian England. Visit the author’s website for more about the book; check out a review in the New Statesman (UK); and, to discover more historic true crime cases, visit Laura James’ CLEWS: The Historic True Crime Blog. 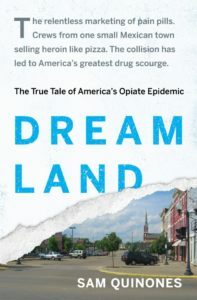 This is John Grisham’s only nonfiction book and proves he can still write a good story. This well-researched book tells the gripping story of Ron Williamson, ex-baseball hero of Ada, Oklahoma, and how injustice lands him on death row and on the brink of being put to death. This book reads like fiction. Tell us what you think! Join us on Wednesday, February 27 at 7:30 for a librarian-led discussion of The Innocent Man.